British tech giant ARM has announced what it is describing as a 'new era' in embedded graphics with the next generation of its Mali GPU. With Korean giant Samsung a lead licensee of the latest graphics chip, ARM believes that Mali-T604 will bring innovative and compelling visual computing to next generation consumer electronics devices. The latest generation of Mali is apparently five times better in performance than its predecessor and should bring much-improved graphics to a whole host of consumer devices, including smartphones, tablets and high-end digital entertainment systems. "Visual computing is driving the next generation of consumer electronics, as consumers and developers demand the highest levels of graphics performance," said Lance Howarth, EVP and general manager, Media Processing Division, ARM. "The tri-pipe architecture in the Mali-T604 provides both market-leading compute functionality and high-performance graphics without compromise, enabling unequalled user experiences in energy-efficient consumer electronic devices." 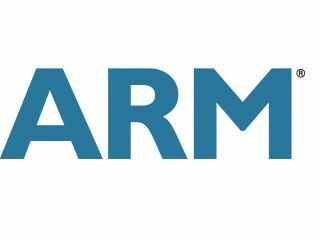 ARM's fourth-generation GPU is 'specifically designed' to cope with general purpose computing on the GPU – known as GPGPU and, interestingly supports OpenCL and Microsoft DirectX. ARM's release suggests that the support for GPGPU will be key in the advancement of augmented reality applications and gesture recognition. With Samsung on board, it will be intriguing to see if the Korean company can roll out devices that use Mali-T604 quickly as it takes on Apple in the Tablet market. The company has already had a hit with the Samsung Galaxy S smartphone, and the early numbers indicate that the Galaxy Tab has gone down well. So are we soon going to see mobile phones and tablets that can play powerful games? It certainly seems to be a step in the right direction.